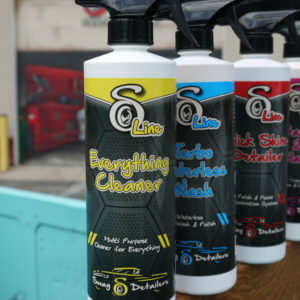 Wash & polish your car in minutes with no water, anytime, anywhere. 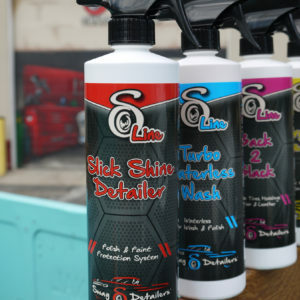 The blend of biodegradable detergents and advanced polymers first breaks down and suspends dirt and grime – it then replaces the dirt with a protective polymer layer – leaving your vehicle clean and with a deep protective shine. Turbo Waterless Wash is a blend of bio-degradable detergents and our macro polymers. The advanced multiple polymer formula breaks down and suspends dirt and grime while replacing it with a protective layer of macro polymers, leaving your vehicle clean and with a longer lasting shine you can be proud of. 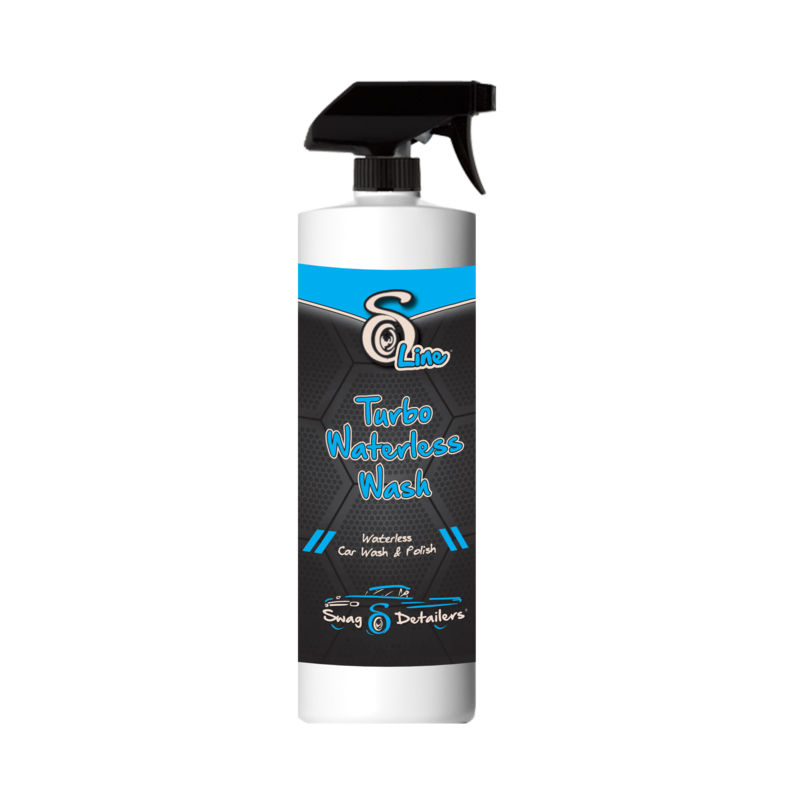 Anti-statics contained in Turbo Waterless Wash will keep dust off your vehicle surfaces longer and make it easier to remove. Turbo Waterless Wash has no wax in it. It does contain multiple macro polymers which bond to the surface. As the macro polymers begin to bond they seal the surface leaving it with nice shine and sealed for protection against the weather/road conditions.We recommend the use of micro-fiber towels to apply and buff Turbo Waterless Wash treated surfaces, this way, chances of micro-scratches are avoided. 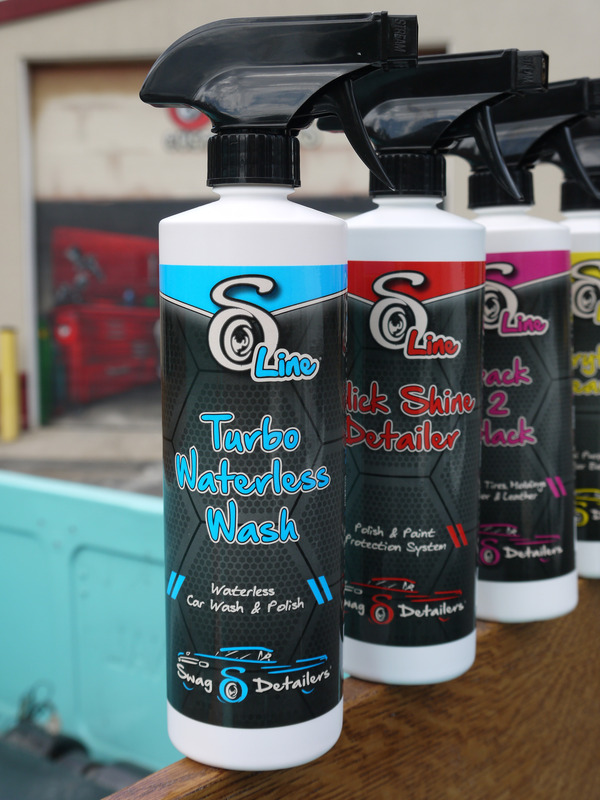 Turbo Waterless Wash eliminates the need to use multiple products. Turbo Waterless Wash also eliminates the need for gallons of water running to waste, possible toxic pollutants entering storm drains. • Each 16oz. bottle will treat 3 – 6 full size cars depending on their condition. • Cuts traditional washing time by 70-80%. • Easy wipe on – wipe off technology. • Use it anywhere, anytime. • Use on paint, glass, and chrome areas. Needed: 2 microfiber towels each folded twice. 1. Take a clean microfiber towel and spray it a few times to pre-wet the surface. Pre-wetting is done only the first time you use a microfiber towel. 2. Spray a few times onto the area to be cleaned. 3. Using pre-wet towel, wipe area in a circular or back and forth motion until clean. 4. 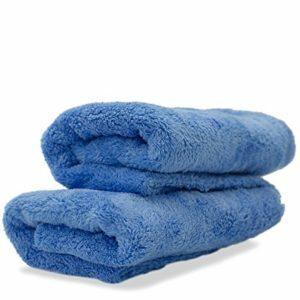 Immediately use the second clean & dry microfiber towel and wipe area dry. 5. Repeat steps until car is finished. Save money without sacrificing your car’s shine with our most versatile detailing towel!